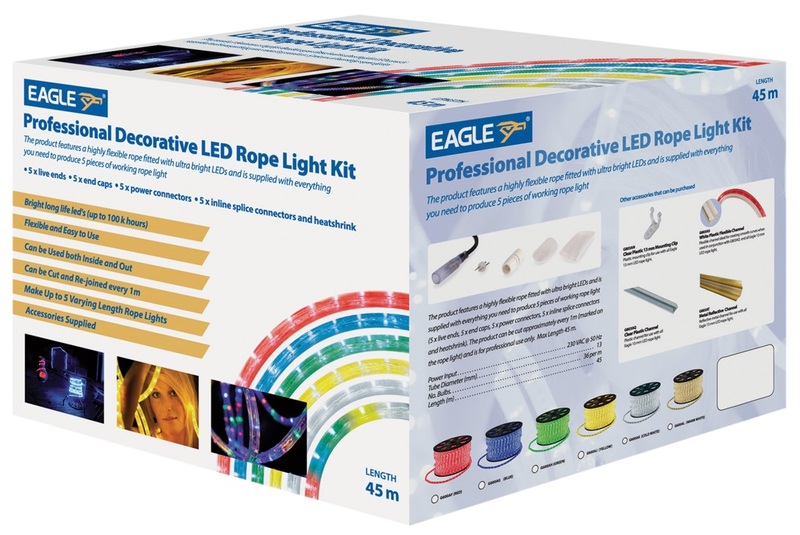 A highly flexible and robust decorative rope lighting product supplied with a set of comprehensive wiring accessories allowing up to 5 separate rope lights to be assembled. The product features ultra bright LEDs producing intense vibrant colours, highly flexible tube allowing complex designs and shapes to be formed, simple and quick to make up and install with a large operational temperature range of between -20C to + 60C. 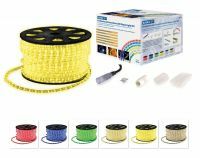 The product is supplied with 5 x 2m live ends, 5 x end caps, 5 x power connectors, 5 x inline splice connectors, heat shrink and glue. 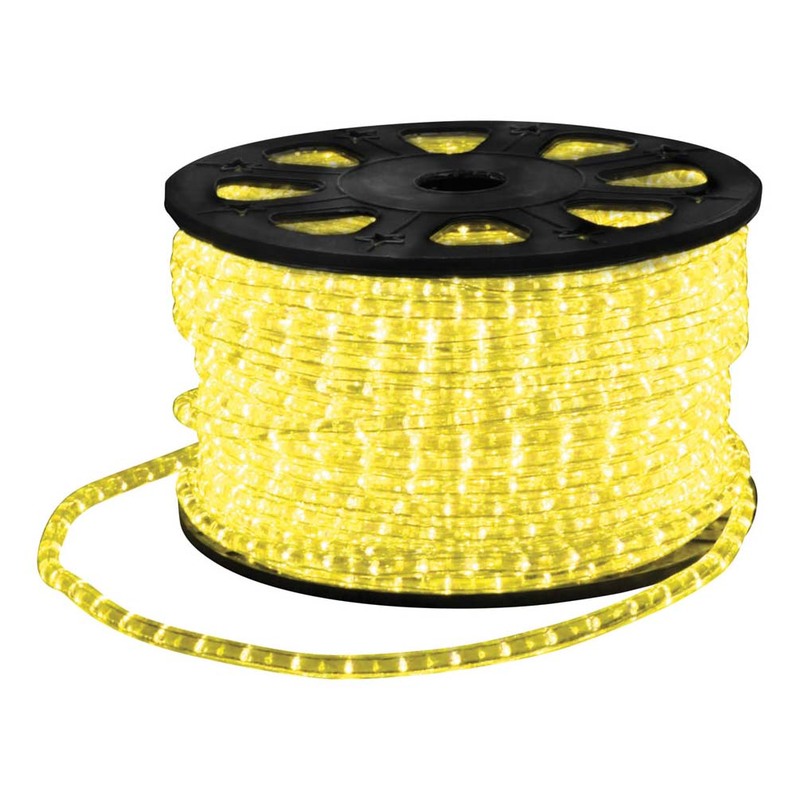 The product can be cut approximately every 1m (marked on the rope light) and is for professional use only.